QO Worcestershire Yeomanry NCO’s arm badge. A good example being a die-stamped white metal sprig of pear blossom on loops (slightly pinched). 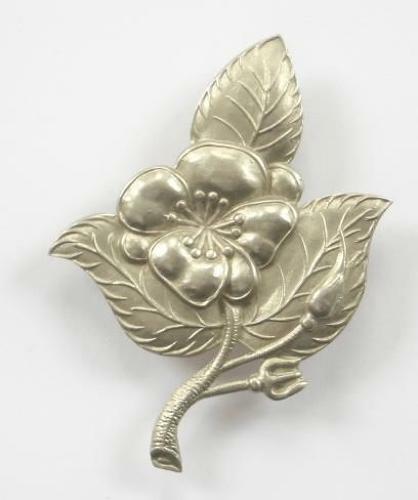 Badge commemorates the giving of a sprig of pear blossom to every man of the Worcestershire IY on their departure for South Africa by the Countess of Dudley in 1900.